It seems that, in 2019 (and the years immediately leading up to it), the journey of the millennial entrepreneur is to reinvent — "disrupt!" — every retail category in existence. From luggage to eyeglasses, cookware to mattresses, razors to vitamins, every basic need has been rebranded, given a sleek new font, and offered direct-to-consumer, "cutting out the middleman." Which is why, in the great CBD boom we&apos;re currently living through, it&apos;s surprising that no one has applied this model to the calming, non-psychoactive cannabis-derived compound. 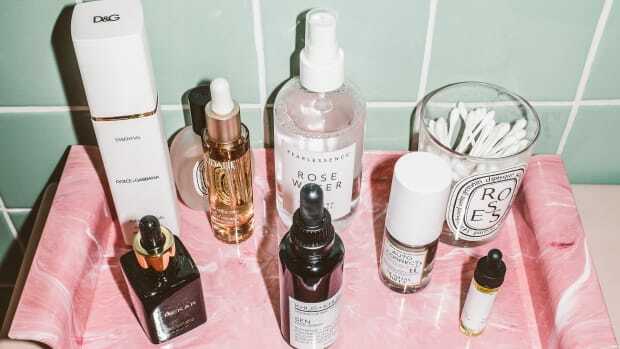 Then again, CBD is still new to the checklist of modern essentials — and so, naturally, it&apos;s time to bring a DTC sales model to society&apos;s new favorite wellness addiction. Enter: Feals, a new startup that made its debut on Tuesday and aims to do exactly that. "I think in the New York and LA markets, CBD is everywhere," Todd explains. "It&apos;s the cool-kid thing to do. All the cool brands are adding it [to their products]. But the education is really lacking." This is, in part, why he and his team decided to launch as a digitally native brand, something they felt confident in, having backgrounds in direct-to-consumer e-commerce. "We understand how to communicate with consumers, and we understand the value and the power of being able to have that first person data," he explains. 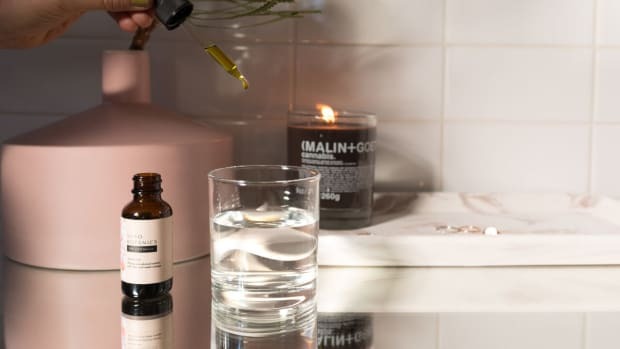 The company&apos;s tagline is "a better way to feel better," adding that it achieves this goal without the risk of "high, hangover or addiction," and specifically cites anxiety, pain management and sleep as three key areas where CBD can help. "One of the most interesting things about CBD is it&apos;s not about what you feel, it&apos;s about what you don&apos;t," Todd says. But before the brand came to exist as it does now, the three founders who are self-described "data-driven nerds" sought market validation — a direct-to-consumer proof of concept — via an unbranded, test-drive version of the company. The founders received an "overwhelmingly positive response; customers were loving the product, using it in their everyday lives, and wanting an easier way to get more." So, based on their initial success, it was time not just to build a business but also a brand. And building a brand means not only a product worthy of shelfie, or social media real-estate, but one that offers something different from an ever-growing pool of competitors. So how is Feals different? Todd has a few answers. First, there&apos;s the dosage question: "What we found in our proof of concept was that there really isn&apos;t exact strength for an ailment, age, gender or weight, as everyone&apos;s endocannabinoid system responds differently to this molecule," he says. (Think of how caffeine can have drastically different effects on different people at the same dosage — individual bodies respond to it in a variety of ways; the same can be said for CBD.) 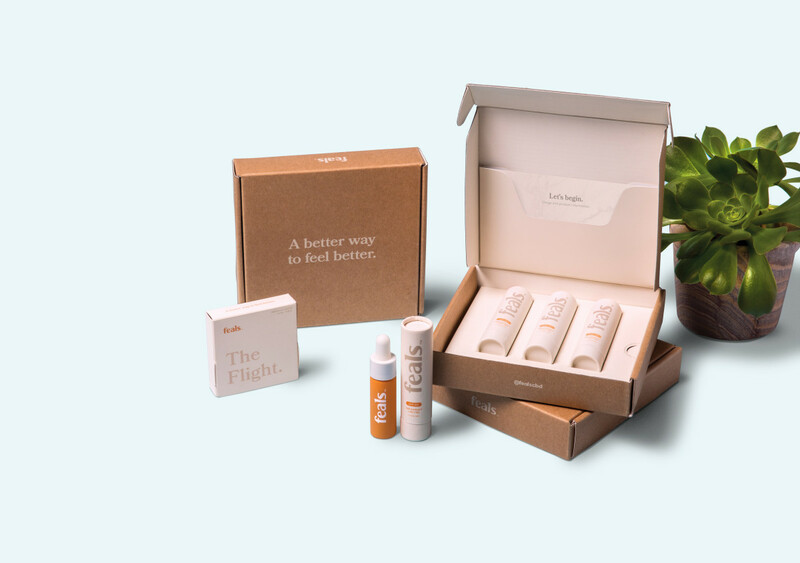 To that end, Feals is launching with a $20 flight (which includes shipping) that allows customers to experiment with the three strength options in which tinctures are sold. "The majority of competing products in the market right now don&apos;t have enough CBD in them to actually make a difference," Todd also notes. The Feals container, at its lowest dose, is 600 mg (and costs $74.95 for a one-month supply; 1200 mg retails for $134.95; the highest dose, 2400 mg, sells for $244.95) but the dropper itself is marked so the user can determine how much CBD is ingested: 10, 20 or 30 mg. To get an understanding of exactly what that means, we consulted Dr. Alex Capano, chief science officer at Ananda Hemp. According to her experience with patients, they "can get an effect from 10 milligrams of full-spectrum CBD," and, she adds, "that&apos;s really where I tell people to start if they&apos;re using a tincture, and then to titrate up from there." Secondly, there&apos;s the purity matter. Feals sources its CBD from U.S.-grown industrial hemp plants, grown on family farms in Colorado and Oregon, containing less than 0.3 percent THC. It also takes a "whole-plant" approach, meaning CBD isn&apos;t the only cannabinoid present in the product — the other naturally-occurring terpenes remain in the formulas as well, adding to its efficacy. 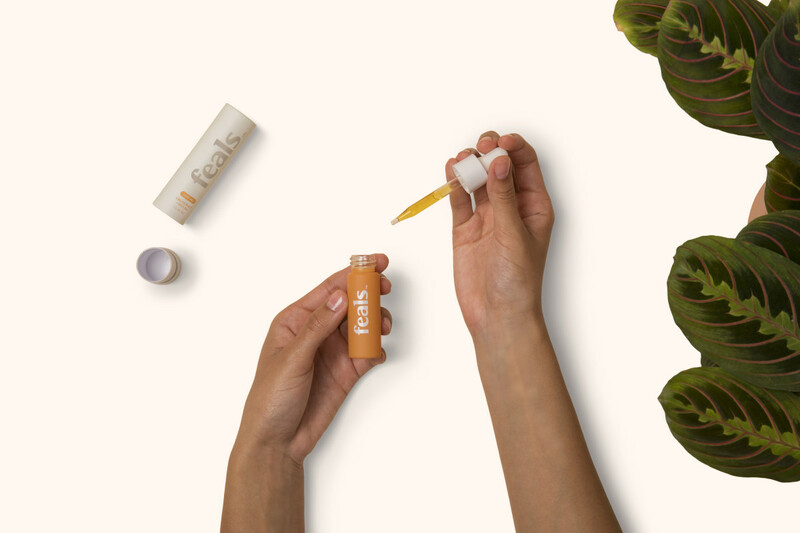 Then, Feals blends CBD with MCT oil as a carrier — and those are the only two ingredients in the tincture. MCT oil was a carefully chosen ingredient for the company, which describes it as a "superfood" form of coconut oil that is reported to help burn fat, boost metabolism, and even serve as a sort of natural brain fuel. The result, Todd says, "allows us to deliver what we believe is one of the more powerful doses of CBD available in the market." Thirdly, there&apos;s user experience. "Our decision to go direct-to-consumer is a result of our focus on having just a maniacally fantastic customer experience, and I think that the only way that you can provide that is when you are controlling all of the levers," explains Todd. 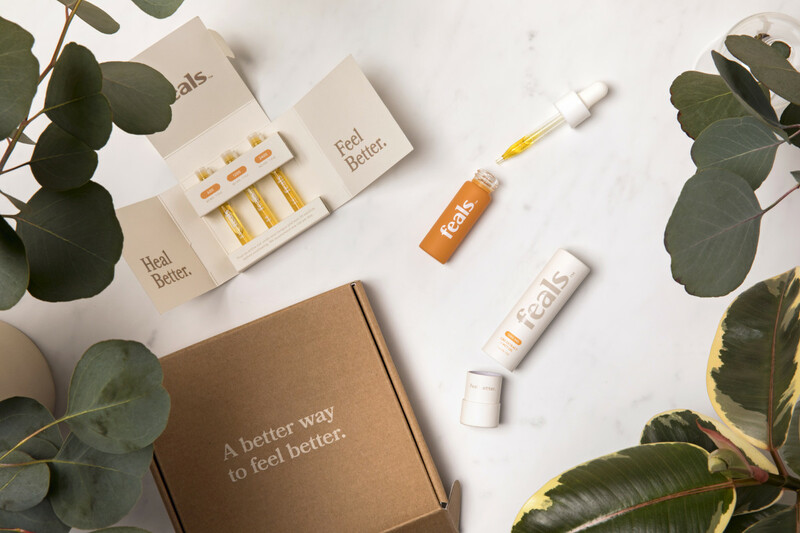 As far as that experience goes, Feals claims to offer the first-ever CBD hotline, which provides one-on-one online and phone support to ensure that customers feel safe and informed while using the products. "CBD in general has a lot of stigmas and misconceptions, and we are just looking to simplify that process. We speak in easy-to-understand language," he explains. Finally, there&apos;s their membership model (which Todd is keen to distinguish from those pesky, fine-print subscriptions) — a monthly shipment can be skipped or canceled at anytime, and offers a 30 percent discount on any additional purchases (which seems aimed at gifting). 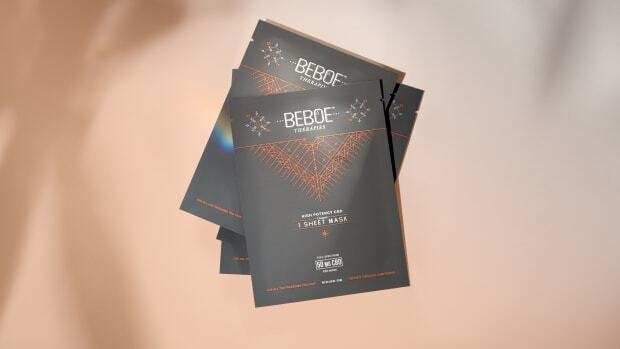 In summary, Feals is committed to providing a "human touch," not always there in the confusing world of CBD, let alone in the digital world. Still, arguably, none of this would matter without the right branding. That first, unbranded iteration of the tincture Todd speaks of was housed in what he calls a "holistic look," aka generic brown glass bottles. But in creating "somewhat of an anti-cannabis cannabis brand," it was key to be approachable, simple, a little less edgy, and a little more colorful. The resulting bottle is comes in a cheery orange shade the brand refers to as "sunset." "I know that there&apos;s a really cool cannabis culture going on, particularly here in LA and in New York, but that&apos;s not the US, and we set out to craft a brand where we felt that it was cool to our peers, but it was also something that I would want to share with my mom," Todd says. The design, is of course also intended to feel in place "on your vanity or in your purse and kitchen." Dramatically put, it is meant to shatter "the preconceived notion of traditional CBD...so it can become a very common item in everyday life." But on a more poetic note, "it&apos;s really supposed to embody that moment at sunset where everyone is present, and that&apos;s really what we&apos;re hoping that Feals can bring to everyone&apos;s life. It&apos;s like sunset in a bottle, kind of bringing you that calm and presence in your everyday life." Including tinctures, gummies, lip balms, masks and oils.